When it comes to solving our beauty frustrations we think we may need a trip to the Doctor to see how to fix something or an extra pay check each month to help with all the extras. Beauty shouldn't be this frustrating or difficult. Everywhere we look we are promised the answer to our biggest questions and never get the answers...and so the search for beauty in a bottle continues. 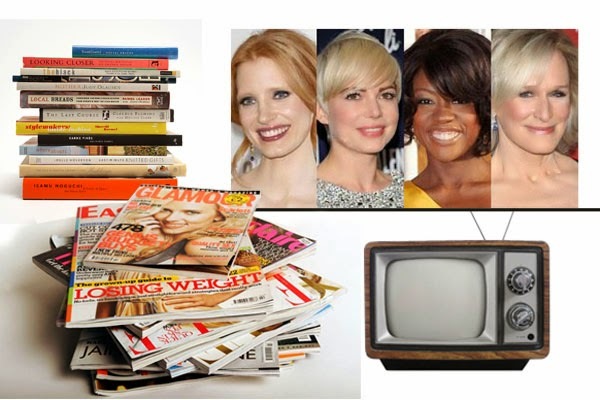 We are surrounded by information with magazines, books and we see perfection on TV...but we also live in a society that gives a lot of misinformation, from social media, friends and unreliable theories that are based on the dollar not fact. In 1974, after seriously studying the biology of how skin works, I noticed nothing existed in the beauty industry that truly helped solve women's frustrations because nothing out there was produced to actually work with the biology of skin. So, I created my own skincare treatment that is entirely based on the skin's function from the way it needs to be cleansed to the only way we can truly hydrate our skin, no matter the skin type. (i.e. dry, oily, combination) If we follow the biology of skin anyone can have balance. My treatment has never been reformulated and nothing has been added to it in 40 years because the way skin functions hasn't changed, so why would a product that works change? 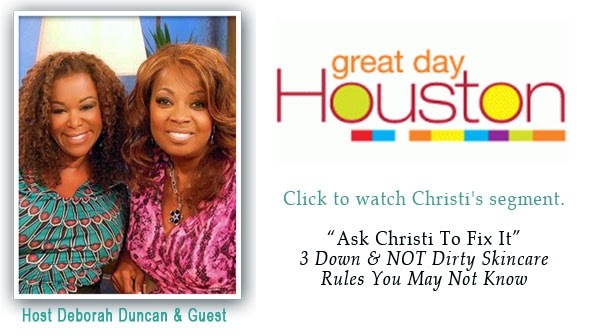 Here are 3 questions I answered for the viewers on "Ask Christi to Fix It", along with more detailed info everyone needs to know for their skin. 1. How should I take my eye makeup off and if I don't wear makeup one day what should I do? CH: Whether you have applied anything to your eyes during the day or not, you must cleanse your eyes the same way. We all produce natural oils during the day. The oil that has set on our skin at the end of the day has to be removed, otherwise the oil is a barrier and doesn't allow moisture to be replenished back into the skin. 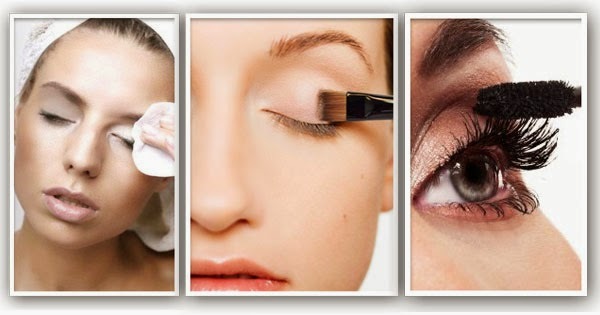 Eye Makeup can crease much more the next day if the eye is not cleansed and the natural oils removed. Eye lashes need to be conditioned. After a day of build up of mascara and natural oils our lashes take a toll and should be conditioned to keep them strong and healthy. The only way eye makeup and natural oils should be removed is with another oil that does not leave a trace of oil or makeup on the skin. I know I know, oil, most people have been told not to use such things but it is actually the only thing that helps to remove eye makeup and natural oils without harming the delicate skin around the eyes or our lashes. NEVER use soap, a tissue or wash cloth to cleanse this area. Soap and water is too harsh because it takes rubbing to break down the makeup, which can then pull, scratch and dry out the skin and cause lashes to fall out. Tissue should never be used anywhere on the face simply because it is made from wood pulp which scratches the skin. Oil delicately breaks down the makeup without harming the eyes, lashes, or skin. Think about this, what do you usually use to remove your eye makeup and lip color? Most women tell me they use a tissue because they don't want to put their lip color on a wash cloth, which is generally an alternative in most cases. And I bet, like most women, you probably remove eye makeup with a water based remover, baby oil, light soap or cleanser. That is just something we have been told to do and don't know any better so we continue to use them right? Well, now you can know that baby oil is made with a mineral oil that is not a cosmetic grade and allows for build up and can suffocate the lashes. Soap leaves a ring around your bath tub so what do you think it does to your skin. Most soaps contain wax, don't be fooled into thinking that any type of soap with wax won't build up on your eye area and lashes...it will. If you use any of these methods ask yourself this...is the skin around my eyes drier then the rest of my face, are my lashes sparse or does there seem to be skin build up around my eyes? If you answered yes to any of these it could be because of your eye makeup remover. Don't worry I can fix it. My Eye/Lip Makeup Remover Pads are goof proof and are formulated especially for the eyes. They are great for the skin and lashes. One pad simply melts away any trace of eye makeup or lip color without pulling, rubbing or scratching the skin and lashes. The pads are 100% cotton so they won't irritate the eye area, leave oil build up and they condition the lashes. Even contact wearers can use them. Sometimes we keep using the same things because it is the only option or we simply don't know. 2. I have used all kinds of products to exfoliate my skin. Some have really irritated my skin and then I feel dry. Some seem to burn and then it peels. Help me! CH: Okay...think through this with me girls. 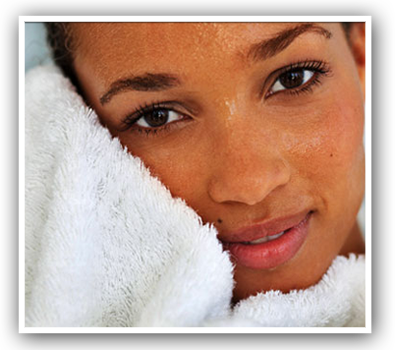 Have you used all kinds of products to exfoliate your skin with or been so desperate as to try a facial peel? There is no need to take it to this extreme. It only plucks your pocket book and plays havoc on your skin. Have you ever been told why you need to exfoliate? If you have they probably told you to exfoliate once a week, not true, we will get to that. Has your skin ever become irritated after using an exfoliant or feel as if it has been burned after having a facial peel? I have known so many women over the years who think they are doing the correct thing only to end up with skin that looks like their great grandmother. Without confusing everyone more...let me explain why these methods don't work for women. How many of you know there are only a few ways to wash your pots and pans? What does this have to do with exfoliating skin, stick with me. All dish washing soaps have an oil base to break down the oil on the pan, no trace of oil is left...right? If you haven't burned something then you can use a sponge to cleanse it, BUT if there is build up or something has burned on the pan you have to use a Brillo pad or something harsh...right? Well skin is similar. We get over 10 billion dead skin cells daily. 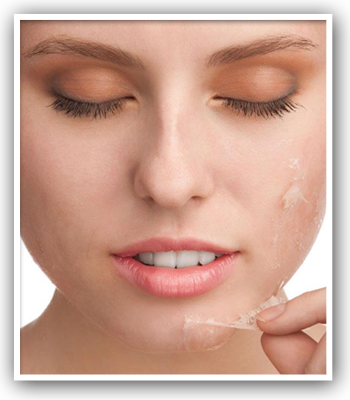 That dead skin builds up, along with makeup, body oils, dirt, etc., every day that we don't exfoliate. Then we can get acne, dry patches, uneven skin tones and so on. So many skin problems can be caused by dead skin build up. It is imperative that we remove those dead skin cells each day, that's right EVERY DAY, not every 3 or 4 days, but DAILY. I can't stress this enough. Think about if you don't let it build up, like on the burned pan, then you don't have to use such a strong product to take the build up off. Just this one step can keep you from becoming irritated. When I formulated my exfoliant I knew it needed an antibacterial, natural agent. Honey, being pure and natural was perfect it is also a daily tightener for the skin. Most exfoliants on the market are very abrasive and use chemicals, and they need to be since they tell you to exfoliate only once a week. Those exfoliants are trying to do the job in a day and remove several days worth of skin build up and surprise they don't remove it all, at least not without scratching or burning the skin. That is why sometimes when you put moisturizer on after you exfoliate you feel very dry or it burns. Long term affects of harsh chemicals used by millions of women are showing damage and aging of the skin. There is simply no need to use those types of products if you are not letting the dead skin collect. I didn't want to use anything abrasive with ingredients that would scratch the skin and could be used daily. 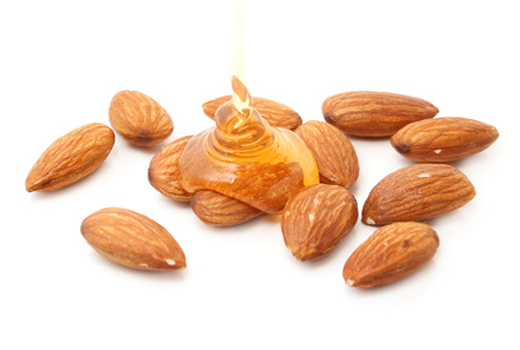 The honey acts as a cushion for the almonds to gently polish the skin, leaving no irritation. Skin naturally generates new skin cells every day. Yes, it is daily maintenance but you only get one face. This method and step by step process I found that works will never change. I said it once and I'll say it again, the skin will never change the way it functions so why change the products. The Honey and Almond Exfoliant is so gentle on the skin to remove only one days dead skin (the 10 billion) using the polishing/tightening formula, with no barrier built up your hydration will be significantly increased when you apply the moisturizer, after exfoliating, and then seal in with Night Creme to lock in your moisture. Therefore you don't need a strong chemical to lift the dead skin off the face. I would never suggest that women get a facial peel or use products with fruit acids which are referred to as alpha hydroxy acids. A simple product like the Honey and Almond Exfoliant polishes the skin as it removes any trace of dead skin for that day. It saves your skin and your wallet. Think about it...why would you still need to go get a facial peel or even a facial? There would be nothing to remove. And...if your skin ever peels it is only because the skin was burned with a harsh chemical. Skin doesn't peel on it's own. Do this personal test with me. I am sure you have some scotch tape in your home. Take a strip of the tape and place it down onto your arm. Press it on your skin and then pull it off. Yikes! Look...see how much dead skin build up you have. Imagine how it would build up over three days on your face, especially when exposed to the outside elements. The reason I am so big on education is when women understand why they should do something a certain way they benefit and something so small can make a huge difference. 3. Summer is coming soon and I perspire a lot. Sometimes the moisture even beads up on my nose and under my eyes. My skin feels dry though and even flakes more in the summer than in the winter. Any advice would be appreciated. CH: The reason you feel dry is you are losing a great deal of moisture during the day and not putting it back at night and locking it in. Also, if you are not exfoliating every night that dead skin is like a band aid...keeping the moisture out so it won't go into your skin...then your skin becomes dry. You must cleanse, exfoliate, moisturize and seal your moisture in every night with the oil based night creme. There are no potions in lotions that the skin recognizes other than water and oil. The human body will only respond to less water or more water. REAL SIMPLE. So why do people try to make it so complicated, I will never understand. When we understand the order to feed the skin with water or oil based natural products it fixes itself. First we have to understand how the skin gets dehydrated which causes skin irritations, dry or oily, acne or rosacea, it is all treatable and can be balanced. I hope this has helped anyone who has ever wondered about these common issues and if anyone ever has questions feel free to ask. Skin health and education have always been my passion that is why I have dedicated my life to helping women overcome their frustrations and give people the facts because the more we know the better decisions we can make.